This is a summary of my findings. I’ve provided links to my original essays on individual topics, which are fully referenced and illustrated. You are encouraged to consult them for complete details. 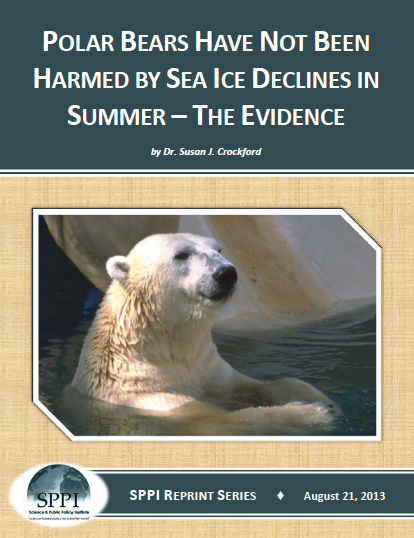 This synopsis (pdf with links preserved,pdf with links as footnotes) complements and updates a previous summary, “Ten good reasons not to worry about polar bears” (pdf with links preserved; pdf with a foreword by Dr. Matt Ridley, with links as footnotes).